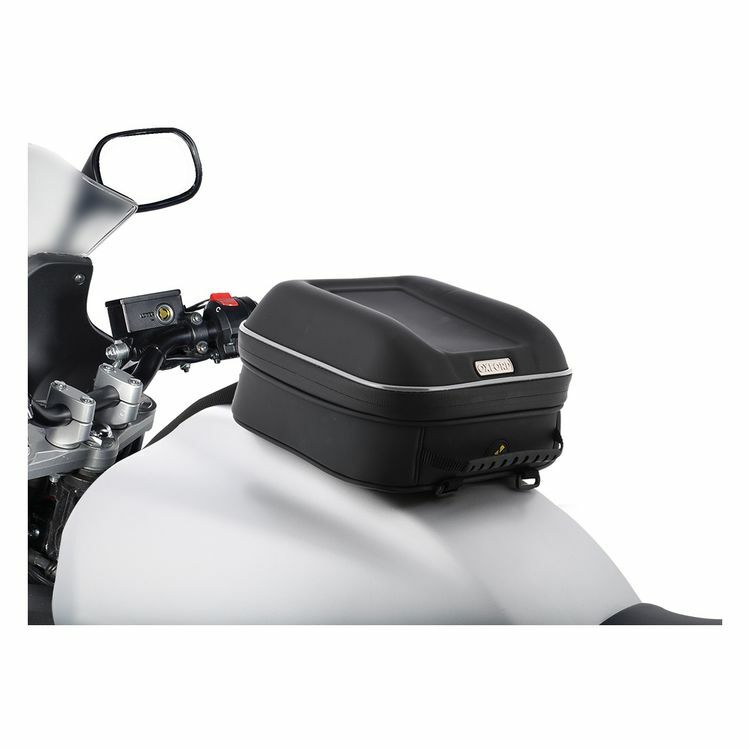 The Oxford M4S Magentic Tank Bag features semi-rigid construction to hold its shape whether empty or full. It has an array of high-power magnets to maintain a firm attraction to your gas tank. 4 liters of capacity is relatively small as far as tank bags go, but it's enough to stash snacks, shades and a few other essentials without obscuring your gauges.